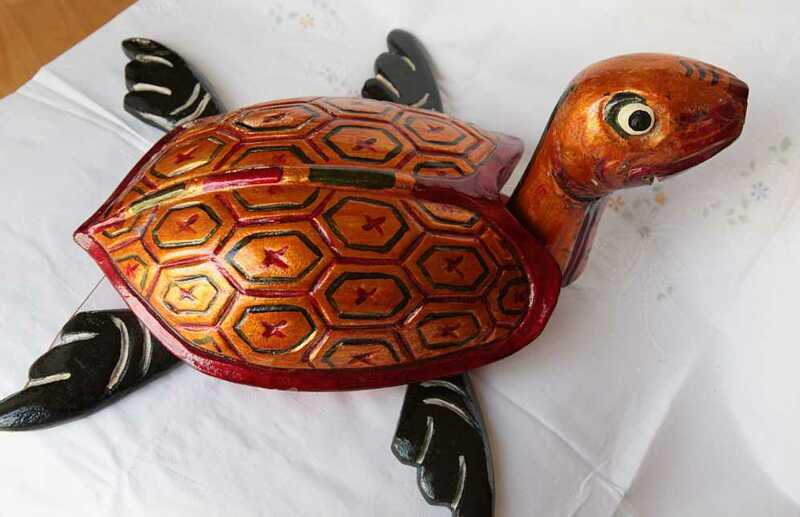 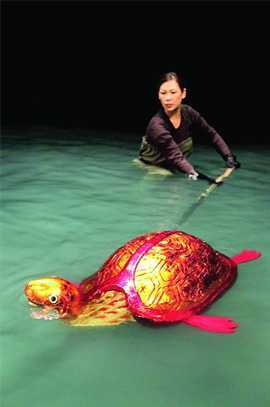 Holy turtle in the Sword Returned, the famous play in Thang Long Water Puppet Theatre. 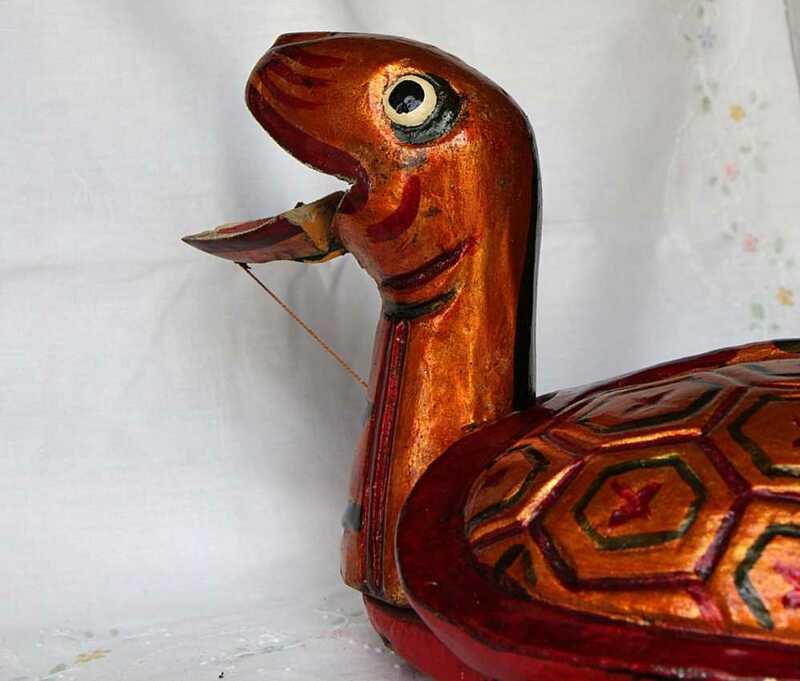 Please check out the picture of a scene in the show when the turtle was holding the sword in his mouth. 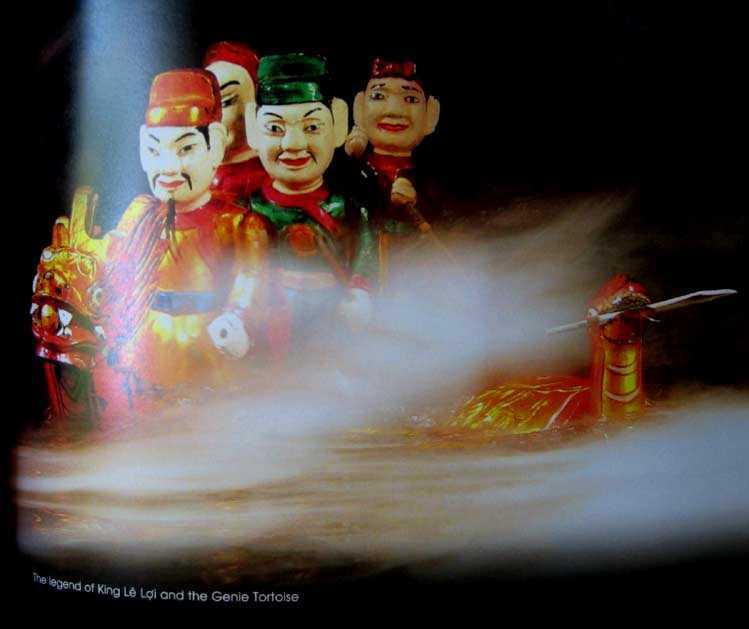 Authentic Vietnamese water puppet.